We love hearing from you and seeing your “before and after” photos, especially on projects that you call for help on! Michele Melvin is a customer of ours who we recently helped. 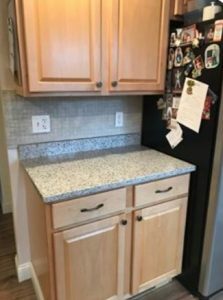 She wanted to paint her kicthen cabinets. 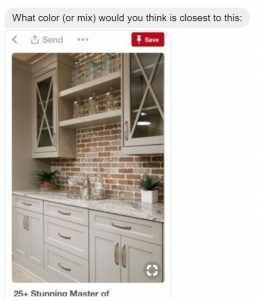 So, we asked her to send us a photo of a kitchen that she loved the look of and that would be her inspiration photo. 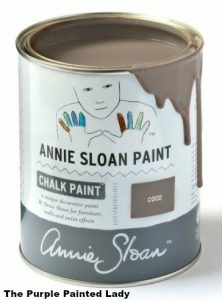 She wanted to use Chalk Paint® by Annie Sloan but neither Coco or French Linen were exactly right, just on their own. So, that is when the customer service at The Purple Painted Lady kicked it up a notch! We sent her a couple recipe options for her to consider. 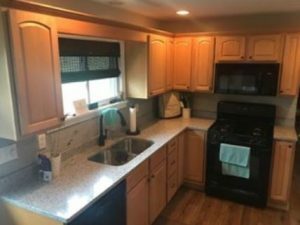 Her cabinets turned out amazing! We love her finished kitchen!!!! Don’t be afraid to take on a project like this. It is so much easier than you think and we will be here to help and coach you! Are you like me, biting at the bit for any possible sign that winter is over? It seems relevant since daylight savings in the north east started today and that is when we “spring” the clock forward. So, Mother Nature knows that is when warmer weather, tulips and baby birds should also be here, right? Well, while cruising the wonderful world wide web I found this adoreable garden sign completed by the Elegant Nest located in the UK. Laura is the designer behind this great project! 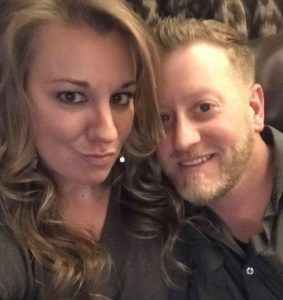 Check out Laura’s Facebook page HERE. 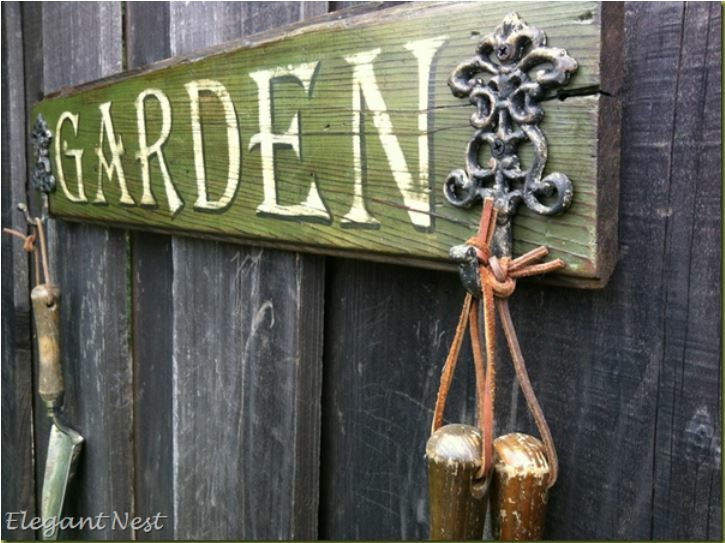 So, this is the gorgeous Garden sign created using Chalk Paint® by Annie Sloan. Personally, I would achieve a similar look using the following products for your vintage GARDEN sign. If I was to try and create something similar, first find your piece of wood. If you have access to barn wood, that is the best. Just be careful to not get a sliver if the wood is dry and brittle when distressing or waxing. If you pick up a piece of tongue & groove flooring from your local hardware store, feel free to take a hammer or metal chain to it prior to painting to give it some “aged” character. Bang it up and add some indentations. Even a pointed object hammered into the wood creating a cluster of worm holes will make your finished sign look more authentic once the distressing and wax applications are complete. Step 1. Using your Olive Chalk Paint® (or Amsterdam Green)… pour a small amount of paint (like a teaspoon worth of paint or two) in a small container. I would then add 1/2 teaspoon of water to the Chalk Paint® and mix it in to thin the paint. 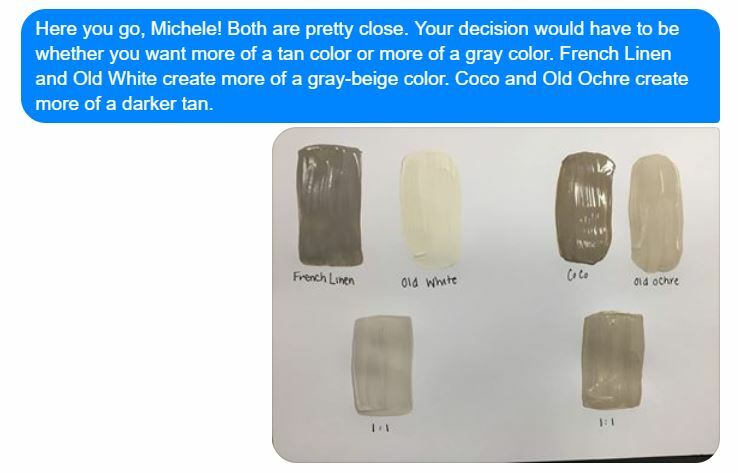 The dgree of how thin you make the paint is based on the degree of translucency you want. If you want the “green” to be like a stain or a wash, add a little more water. I would not go more than a one to one ratio of paint to water though. Paint your entire board. If looking for more of a washed effect, wipe off some of the excess paint from the surface. Let your “green” base coat dry completely. Now, determine your layout for the “GARDEN” letters. If you have a stencil maker, like a Silhouette machine or Cricuit ~ create your letters. Laura, from the Elegant Nest suggested to use the Algerian Font. I love how her letters turned out – so I ageee! If you do not have access to a machine to create your stencil, no worries. Do it the old fashion…and reliable way! Using your favorite word processing software, print the letters out onto paper using your basic printer. Create your “stencil” by cutting the letters out with a scissors. Lay the letters on your wood to get the right spacing. Then, using a piece of chalk or white colored pencil – begin sketching/tracing around the letters over your green paint. 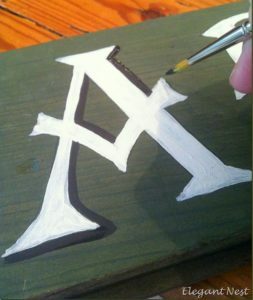 Once your layout is complete, grab an artist brush and paint in the letters using your Old White Chalk Paint®. Do not worry if you build up the paint or have texture from your brush strokes. In fact, brush strokes are good! We plan on sanding over this later and it will only add more character to your sign! Once the Old White Chalk Paint® is dry, to create some vintage magic using Graphite Chalk Paint® and another fine point artist brush – do an outline on one one side of the letters like Laura did. 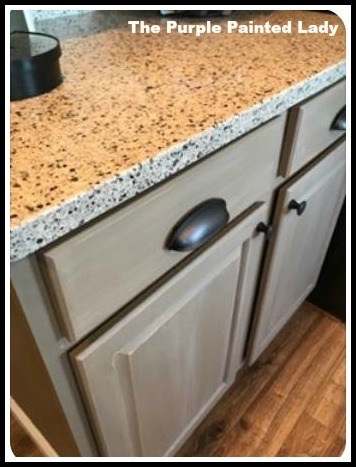 Note how Laura, of the Elegant Nest applied the Graphite Chalk Paint® to “one” side. Meaning, do NOT outline the entire letter. But use the Graphite Chalk Paint® on only the right side of the outline of each letter which will create that vintage illusion of shadowing. Once the Graphite Chalk Paint® has dried, take your blue Annie Sloan Sanding Sponges which is the course grit, and begin to distress your “vintage sign.” Personally, I would distress it in a linear fashion in the same direction of the grain of the wood. Once done, blow off any residual dust outside. 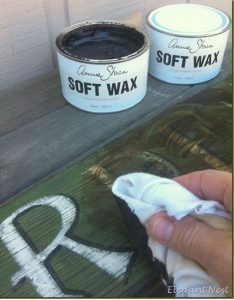 To finish your sign and to seal the paint, first apply a uniform, thin coat of Annie Sloan’s Clear Wax. Follow the instructions we give you for applying wax- so you apply it and then – wipe off the excess immediately. 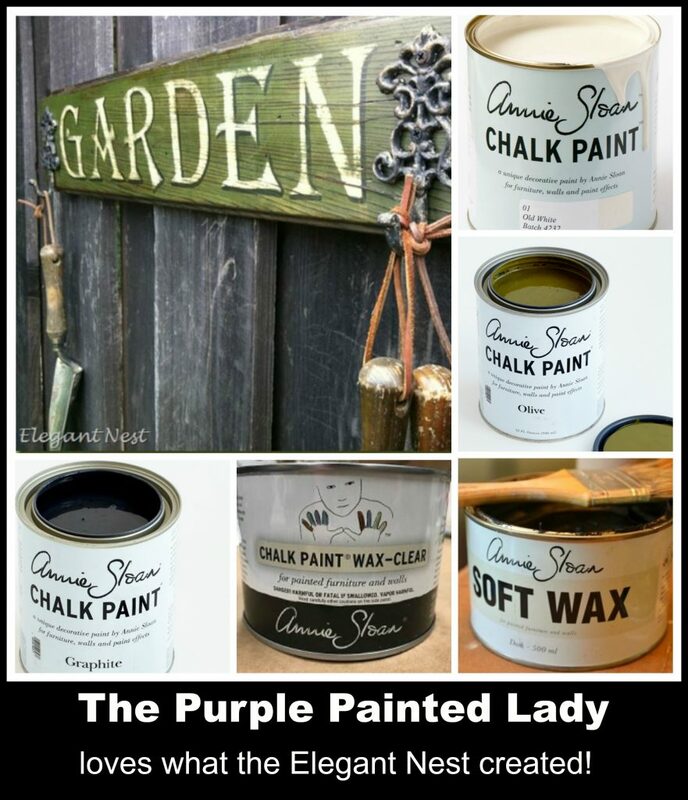 To finish your sign and to add that “aged” effect, finalize your sign using Annie Sloan’s Dark Wax. Again, follow the instructions we give you for applying wax- so you apply it and then – wipe off the excess immediately. Pick up some decorative hooks or cute knobs to mount on either side to hang your garden tools from. Hobby Lobby has a great assortment and they are like, 50% off every other week. And voila! Your vintage GARDEN plaque is complete. You should really check out Lauren’s Facebook page for other inspirational project ideas!